LEGO Pirates of the Caribbean was released on May 10, 2011 for the Wii, as well as every other current console/handheld video game device. LEGO Pirates of the Caribbean was developed by Traveller's Tales, and published by Disney Interactive Studios. 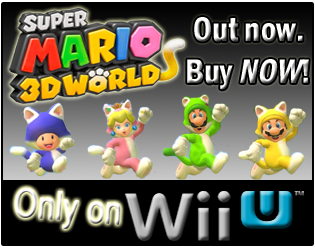 The Wii version, along with the PS3 and Xbox 360 versions, has a MSRP of $49.99, and the game received an ESRB rating of "Everyone 10+" with "Cartoon Violence, Comic Mischief" listed as content for gamers/parents to be aware of. 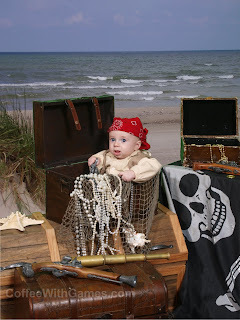 How many hours have Wii owners reported pirating with Captain Jack Sparrow in the Caribbean, since the game released? Let's take a look! 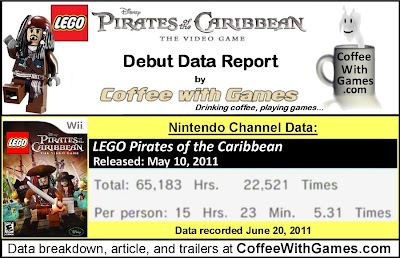 Lego Pirates of the Caribbean has had about 4,241 Wii owners report play-time data, with 42 days of game-play reported since it released. 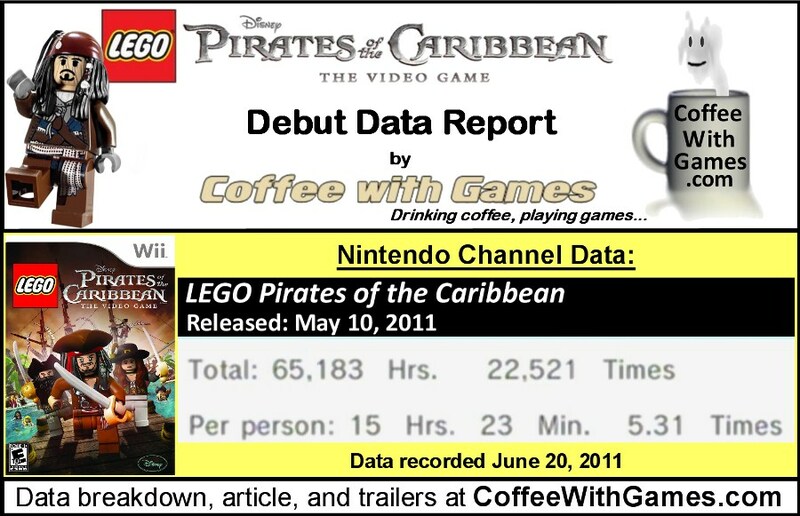 Lego Pirates of the Caribbean has 65,183 Total Hours of game-play reported, with an average play-time of 15 Hours 23 Minutes "Per person"(or console) that has reported data for the game. The game has an average play-time per session right about 2 Hour 53 Minutes. According to the NPD data for May 2011, the Wii version of LEGO Pirates of the Caribbean sold the best out of all the versions. Lego Pirates of the Caribbean's Amazon.com sale rank is #61, and it is currently selling for $45.99. Sale rank and advertised price were recorded on June 23, 2011 around 2:00AM. LEGO Pirates of the Caribbean's "professional" review score average is 72.93%, based on 14 reviews on GameRankings.com. The game has a 4 out of 5 Stars rating on Amazon.com, based on 24 customer reviews. Lego Pirates of the Caribbean's customer review score average is 82.50% when the customer reviews are converted to a 100% review scale. Review score averages recorded on June 23, 2011 around 2:15AM. in the crew of Captain Jack Sparrow. While I have not played any version of LEGO Pirates of the Caribbean, I do think the game looks like good, typical, LEGO video game fun. If you are not familiar with any of the LEGO video games and the humor they use, the video below is a compilation of three trailers for LEGO Pirates of the Caribbean and it should give you a good idea of the humor you can expect from this game. As for the reported game-play data, seeing the game debut in just over a month is pretty good for game I believe. 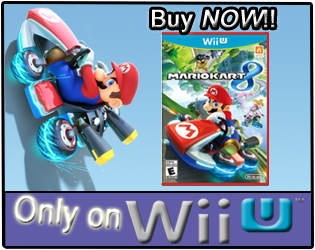 While it's not as fast of a game-play hours debut as some other games, it is a solid and quick start compared to most third party games on the Wii. With the average play session being almost 3 hours, I think that shows gamers are sitting down and really enjoying this game each time they are playing it. One thing I'm really surprised by is that it took nearly 6 years for Disney and Traveller's Tales to get a "LEGO" Pirates game released, considering the first Pirates of the Caribbean movie released back in 2003, and the first LEGO Star Wars game was released in 2005. While Traveller's Tales was probably busy with developing the many other "LEGO" games between 2005 and the release of LEGO Pirates of the Caribbean last month, I just figured a "LEGO" Pirates game would have happened sooner knowing the success the LEGO Star Wars games, and the box office success of each Pirates movie. Anyway, I'm glad to know that Captain Jack Sparrow's latest video game pirate adventure seems to be a success, because in my opinion, he's the best type of pirate there is and he's a video game pirate I don't mind talking about. Have any of you played any version of LEGO Pirates of the Caribbean, and if so, what do you think about the game? Do you think the game follows the "LEGO" video game formula well enough, and follows the Pirates movies, as fans of the movies may expect? Would you recommend LEGO Pirates of the Caribbean to other gamers at it's current MSRP of $49.99, or would you suggest waiting on a price drop for it? If any of you are interested in LEGO Pirates of the Caribbean, you can see prices on Amazon.com linked below for a few of the different versions, as well a LEGO Captain Jack Sparrow! Sadly, we have not yet gotten this one -yet. I plan to, we have virtually every other lego game, but it hasn't made its way into our house -yet. Well, if this LEGO game follows the path of the Star Wars games...a price drop will probably happen around the 6 month mark. "As a massive lego fan..."
Do you collect and build sets, or just enjoy the games? I used to collect/build as a kid, and loved it.